EBay's payment service PayPal revolutionized how we pay for online purchases. And two years ago, the payment giant attempted to change how we use our phones when it introduced its PayPal Mobile app, which offers to transfer money from one person to another by bumping phones together. And though it would make sense for PayPal to continue its reign in payment innovations, the company appears to be the last to arrive at the mobile-payment party. 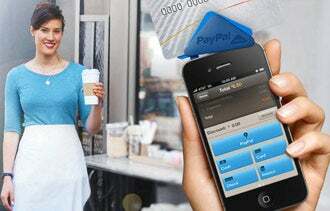 Earlier this month, PayPal with a heaping helping of pomp, launched its mobile payment system PayPal Here, which runs on a person's smartphone through a downloadable app and uses a small plastic reader to swipe cards. The company boasted last week that it signed up more than 1,000 new users per hour in its first day. Though PayPal remains a juggernaut in the online-payment space, the question is, is PayPal too late to make a dent with business customers? The new platform joins incumbent systems like Jack Dorsey's Square, Intuit’s GoPayment, and North American Bancard's Pay Anywhere, among others. Square, alone, claims more than a million users and merchants and a spokesperson says the company processes more than $4 billion annually. But, it’s a sector that’s growing, says Todd Ablowitz, founder of Double Diamond Group, LLC, a Centennial, Colo., payment systems consultancy. “The entrance of PayPal shows that this is a very real market, with an increasing number of options for target merchants,” he says. Cynthia Wahl, for one, says she loves Square. The co-founder of Texas Toast Culinary Tours, a Fort Worth, Texas-based tour company, says she routinely uses her Square system to sign up last-minute attendees on their tours—an important financial catch-all for the two-year-old company. "It's so simple to use," Wahl says. "We signed up in about five minutes and were taking credit cards immediately. The money is in our account the next day. It just seems like Square is looking out for the small business owner." But features vary from provider to provider. Texas Toast doesn't run tours every month, so Wahl is loathe to pay a monthly fee, which is an option with one of the services. But Ablowtiz says it might make sense for those with a high volume of mobile transactions to opt for a monthly fee and a lower swipe rate. Your business may need to accept multiple forms of payment, generate invoices or process transactions internationally -- features that vary from app to app.